ENG: Here in the city of contrast we have the weather of contests: yesterday we wore boots, today it may be sandals. Anyway I can always find a reason for going out, especially when I need to walk my new skirt, hmm and blouse and bag of course. Girls are girls; we can’t live without fun, don’t we? Thanks for visiting, hope your day will be amazing! Always looking so elegant and unique! 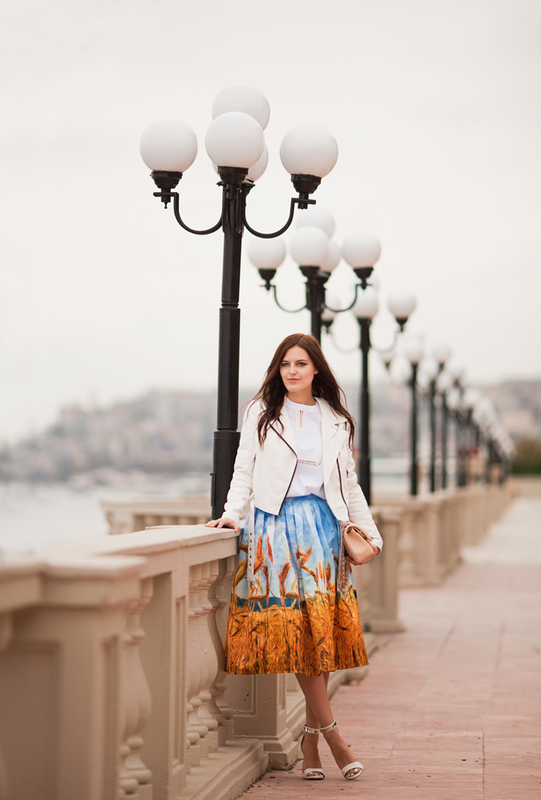 This is an amazing skirt, real work of art! прекрасный образ! и сумка просто шикарна! Ты восхитительна! Юбка замечательная! Сумка потрясающая! Удачного дня! Целую! nice look and photos! love the bag! nice printed skirt and the bag ! I have enjoyed reading your articles. It is well written. Thanks and keep continue to share useful information with us.